Hello, dont remmeber if you remember lo..
Axolotls are salamanders, so there isn't a difference between axolotl morphs and salamander morphs. 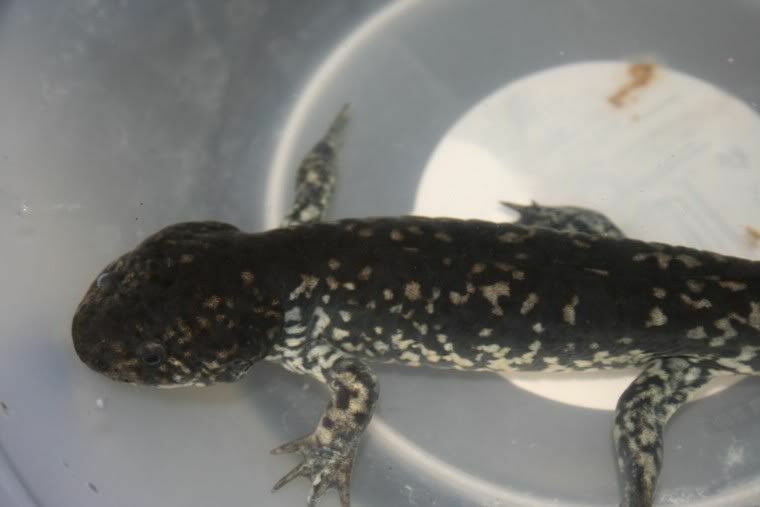 Axolotls are Mexican mole salamander larvae. Wow..he's looking really good, and happy!! thank you so much, stuning isnt he, and its amazing how his apperence has changed to he was a wild type axy, now he is black with white spots, amazing! thank goodness there are good people out there! He looks great, and how amazing. Have just shown my 8 year old daughter your series of photos and even she's impressed! They are just so interesting. 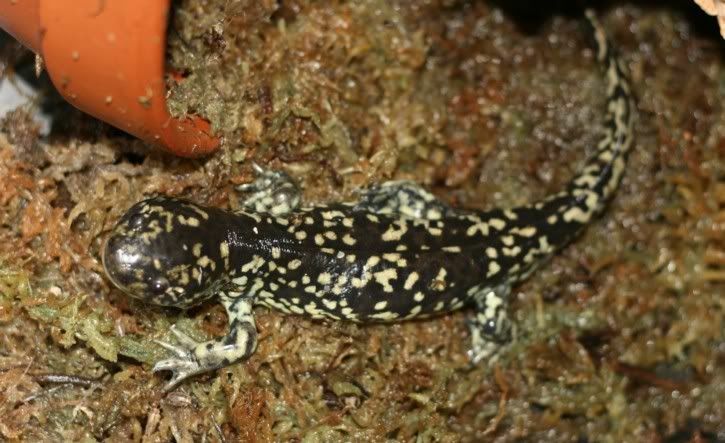 It's interesting to note the differences between a tiger salamander and a 'morpholotl'. The toes are pretty different. Very cool. It's pretty rare these days to get a naturally morphing axolotl. is there anyway that i can get my axie to morph like this into a salamander? do they need any special environmental factors to encourage the change? Dytey, if you try to force an axolotl to morph they often die or suffer a lot. Also their lifespan is greatly reduced. So it would be very cruel if you were to deliberately try to force your axolotl to morph. The only factors that cause an axolotl to morph (other than natural cases of morphing) are not "favorable" for the axolotls. Simply adding land isn't enough to do it. Yeah... in my opinion I think it is not wise to post the steps to make an axolotl morph. You will always get some stupid people who come and look at the forums to find out so they can do it to their axolotl... Why not make it hard for them! Whilst it may seem un wise to post a step by step account on how to make an axolotl morph, it will probably educate more people on what NOT to do. I think freekygeeky has done the right thing in showing us what has occured...hopefully it'll make us more aware on the importance of looking after them correctly and maybe not getting a little lazy as time goes by. 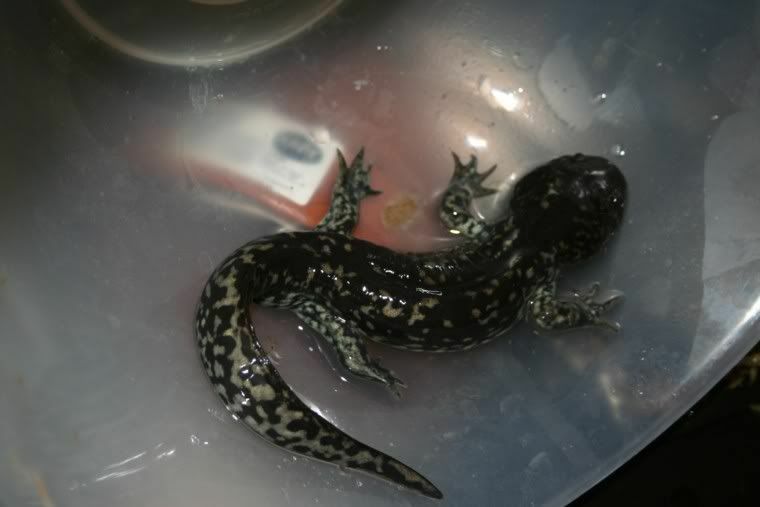 In this instance the axolotl had only been residing with its current owners for a very short period of time ( a matter of a week or so) , like many new owners they were not imformed correctly on how to care for their axolotl. When they realised through posting messages that things were not good they rectified it ...but it was too late to stop this process. I have to admit in my earlier days I was certainly curious on the process's and had believed the morphed axolotl could actually be fun to keep.. research has educted me not to even try this as the risks and welfare of these wonderfull creatures is just not worth it , besides that i really like my axolotls the way they are. 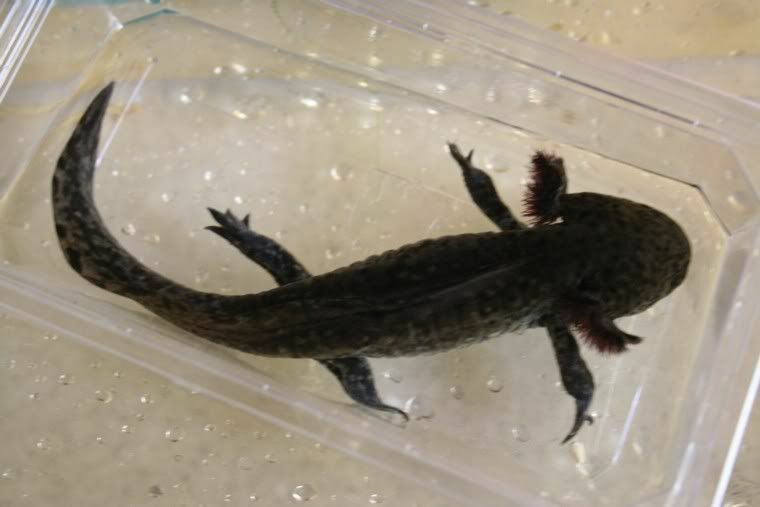 Mr Lister ( the axolotl ) has changed enormously and so far looks really healthy , I certainly hope to hear a lot more on how he is getting on for a long time to come. 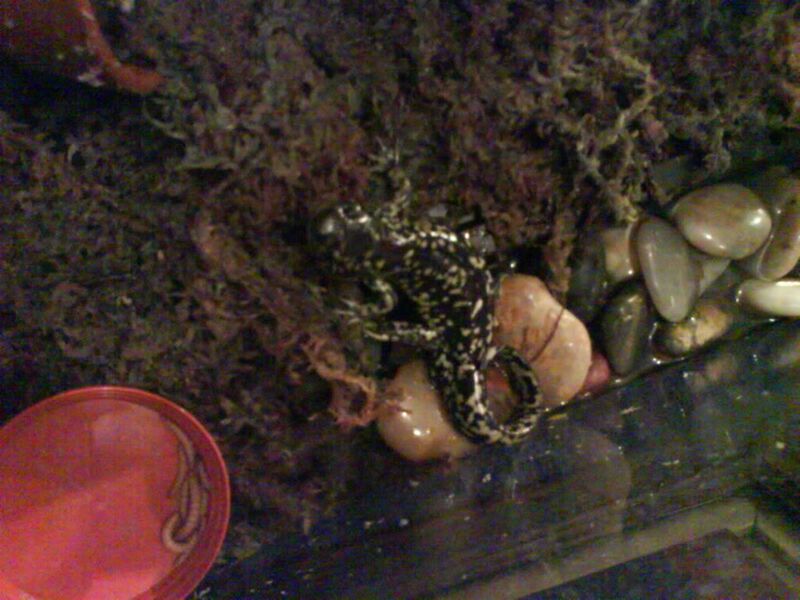 I couldn't agree more with Saspotato ,in if you want a land living salamander...go and buy one.